The economic and international property relations between German-based research and development facilities and their employees are extensively defined under German law. Businesses with R & D resources in Germany cannot afford to be less than knowledgeable in this area, particularly concerning the provisions of Germany’s Law of Employees’ Inventions. a glossary of essential keywords in both English and German. 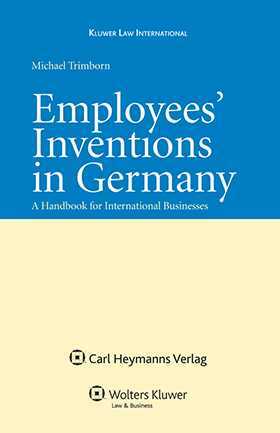 Business persons who deal with employees’ inventions and R & D in Germany will find this handbook to be of immeasurable value, both as an initial orientation and then as a constantly useful guide with answers to virtually all problems likely to arise in the course of the legal work entailed by R & D in Germany.